Hervey Bay Caravan Storage offers 2.9 acres of area in a bushland setting for short or long term, covered or uncovered secure storage. Leave your caravan, motorhome or camper trailer with us while you enjoy some stress-free time on Fraser Island knowing your property is well looked after by the on-site owners/managers. 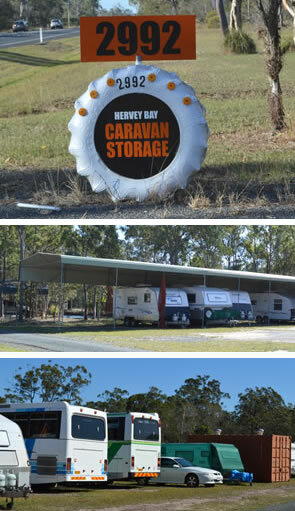 Hervey Bay Caravan Storage is conveniently located on the Maryborough-Hervey Bay Road. Hervey Bay Caravan Storage also offers a caravan towing service, pensioner discounts and 24/7 video surveillance with prices starting from only $10 per week. Transportation to and from the barge at River Heads can be arranged.